ITB Asia 2018 promises to reimagine travel with an extensive conference programme of 200 speakers, a newly launched Muslim Travel Hub and a big focus on Mice and corporate travel, with the show’s first-ever dedicated Mice & Corporate hub, a speed networking session and a Mice Tech showcase. ITB Asia, ‘Asia’s Leading Travel Trade Show’, will bring together 200 speakers delivering over 200 hours of discussion to offer a well-rounded experience where industry leaders will network and discover the future of travel. Under the conference theme ‘Travel Reimagined’, ITB Asia 2018 will showcase an extensive programme of key presentations and discussions by industry heavyweights from the travel and tourism sector from October 17 – 19 this year at the Sands Expo and Convention Centre in Marina Bay Sands in Singapore. Key industry leaders will be providing insights on major trends that are provoking disruption across the travel industry and how they are innovating to stay ahead. 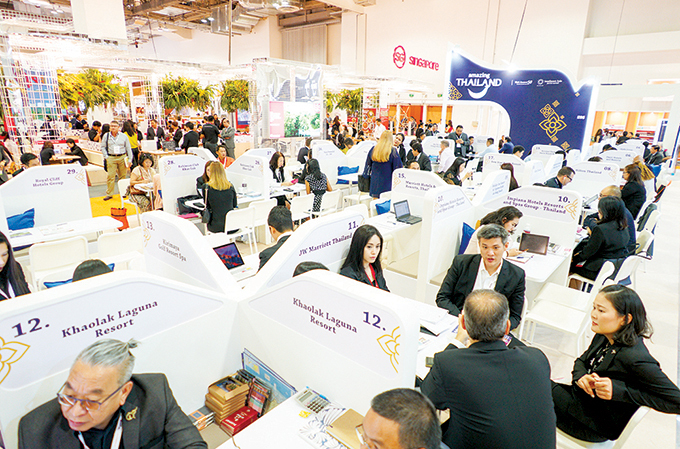 Set to host over 1,000 exhibitors this year, ITB Asia 2018 is attracting top decision makers from across the travel industry in Asia-Pacific and beyond. “We have a spectacular line-up for this year’s conference on 6 stages and a rich and varied content programme. This year also sees the launch of several new initiatives including a new Mice and Corporate Hub, a Mice tech showcase and a new Muslim Travel Pavilion. This is a significant increase in exhibitor and speaker numbers and in the breadth of material being showcased at ITB Asia. We look forward to welcoming delegates to this year’s widely anticipated event,” commented Katrina Leung, managing director of Messe Berlin (Singapore), the organiser of ITB Asia. To kick off the show, global leaders from Google, Microsoft and Trip.com will provide insights on the major trends that will drive change and transformation within the travel industry, setting the tone of the overall show this year. This will continue to Day Two where ITB Asia 2018 will host the keynote panel session on the future of travel distribution with insights from leading OTAs and intermediaries on how they are innovating to stay ahead. Day Three will then see a dedicated session on the Chinese market as the panel explores the ways to win over Chinese travellers and Chinese millennials today. As the most popular and leading conference theatre of the entire ITB Asia event, the Knowledge Theatre will explore topics which are defining and challenging our travel industry today, tomorrow as well as into the future. Getting to the heart of today's complex travel issues, a series of talks on the vision and outlook for the industry given by top leaders and most creative minds will also be hosted here. Welcoming creative leaders and thinkers from leading travel brands and media agencies, ITB Asia 2018’s Presentation Hub will shape up three days of rich content, showcasing the latest insights and global best practices in destination marketing. The stage will explore innovation in destination marketing, helping creative marketeers to promote their destinations worldwide through a discussion on the use of social media channels in line with new travel trends. A stellar line-up of media and research agencies will share their inspiration and practical application of destination marketing, highlighting the growing role of original, branded and consumer-generated content, brand stories, and influencer marketing in today’s travel industry. Corporate and Mice participants at ITB Asia have grown tremendously in the past years. To reflect this strong support and increased focus in these areas, ITB Asia will launch new initiatives for the MICE and corporate segments, gathering industry leaders from within the Mice sector at the show. Confirmed partners and speakers include Airbnb for Work, CWT Meetings & Events, site and Troovo, to name a few. 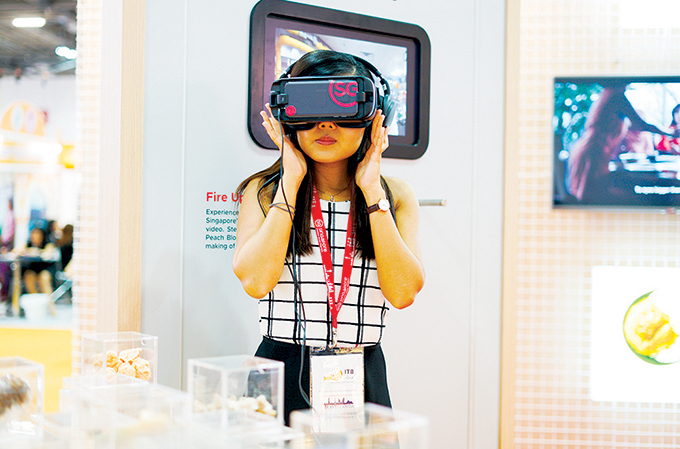 Among the new initiatives will be the launch of a new Mice Tech Showcase which will feature some of the most exciting innovations helping to solve today's complex issues in the Mice industry. This year, ITB Asia will look forward to the disruptors and game-changers that are shifting the traditional modes of thinking in the travel industry, looking at the impact of new generation technology on tourism. This exploration includes the growing role of Artificial Intelligence (AI), robotics and blockchain in the travel industry in time to come. Keynote sessions at the Travel & Tech Hub will delve deep into how businesses are embracing change and how travel brands can thrive in the age of digital disruption. Moving from the offline market onto the online, speakers will explore the digitising supply of tours and activities, as well as AI in photography that is becoming a new trend in attracting tourists. ITB Asia 2018 will share insights on the challenges that the industry faces and how these can effectively be resolved through new age technology. The show will also look into the future for the various sectors of travel, ranging from leisure all the way through to MICE and Corporate Travel too. Set to deliver an unrivalled conference, ITB Asia will launch a newly dedicated Muslim Travel Hub and Pavilion to capture the $180 billion Muslim travel market. For the three full days, the dedicated Muslim Travel Pavilion will offer important panel discussions and showcases on halal travel. Key topics include how to attract Muslim travellers to destinations throughout the year, the development of the growing Muslim travel market, as well as the rise of Muslim-friendly travel packages. Supplementing this will be the Muslim Travel Pavilion, dedicated to exhibitors that offer Muslim travel products and services. The Pavilion will host various talks on how to win over Muslim visitors, how to address Muslim traveller anxieties, and leading travel apps for this market. Keynote speeches, interactive panel discussions and detailed presentations will dive into hot topics including investments in the Halal travel market and the development of the Halal travel market in the service and destination sectors. For the second time running this year, ITB Asia 2018’s key partner, Have Halal, Will Travel, will host a conference on October 17 from 2pm to 5pm at the Muslim Travel Pavilion too. Leading Partners include CrescentRating & HalalTrip and Have Halal, Will Travel.